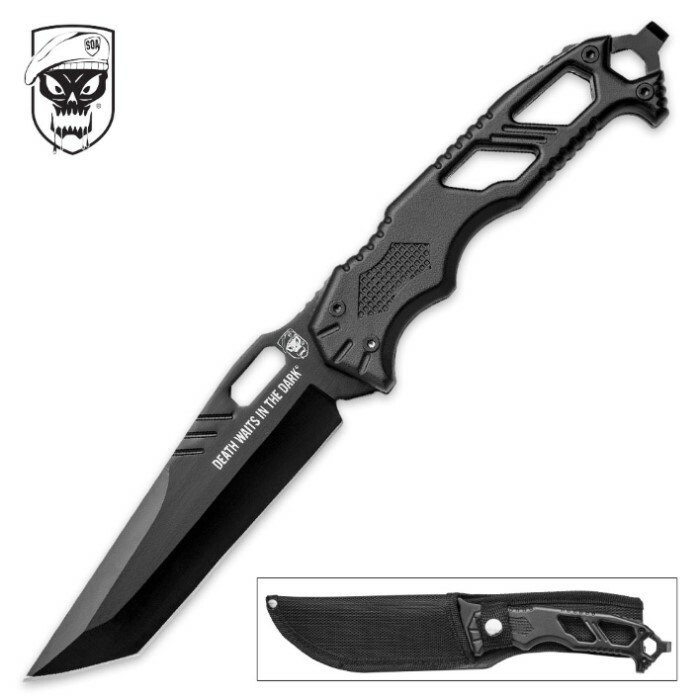 SOA Death Waits In The Dark Fixed Blade Knife | BUDK.com - Knives & Swords At The Lowest Prices! SOA specializes in putting out high-quality, battle-ready knives made to be a soldier’s companion in the field and in country. With the special forces as its inspiration, the Death Waits In The Dark Fixed Blade Knife has a stealthy, on-point design. The full-tang, 5” non-reflective black stainless steel blade has “Death Waits in the Dark” etched on it. 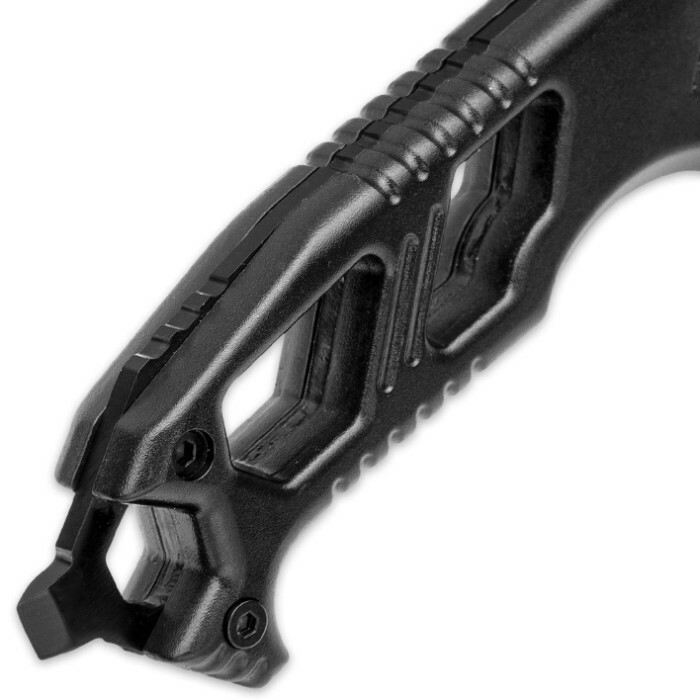 The black TPU handle scales are bolted securely to the tang and feature an ergonomic cut-out, lightweight design. 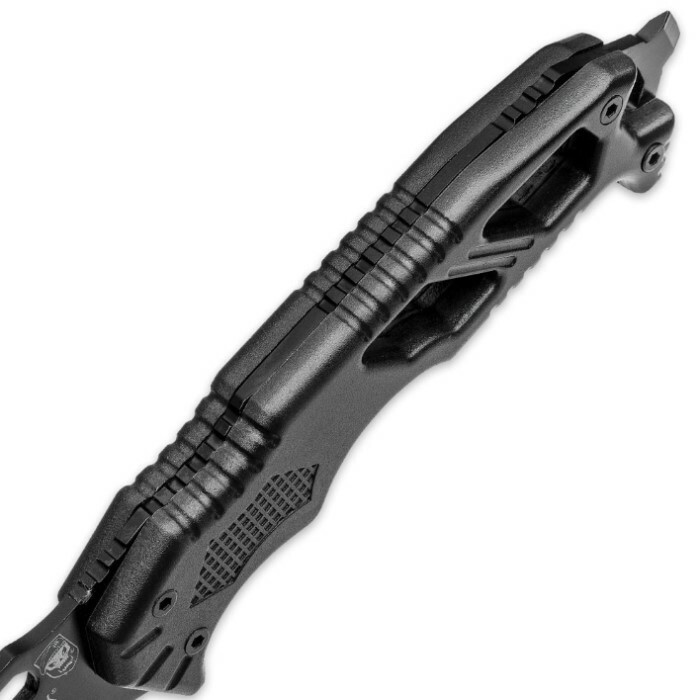 A tough nylon belt sheath is included to protect and carry this fixed blade.